Smartphones have become a part of most people’s daily lives. In addition to talking and texting, many people use their phones to write emails, pay for purchases, and check their bank accounts. That makes it possible for hackers to access private information they can use to steal your identity. While there is always some level of risk, you can use these four tricks to keep your smartphone data safer. Using a secure password is one of the easiest things you can do to protect information on your smartphone. When you have a strong password, it’s unlikely that anyone can break into your phone or accounts. The more random you make your password, the more secure it is. You can create strings of random characters by using password generators. Completely random passwords, unfortunately, are hard to remember, especially when you use a different one for each of your devices and accounts. If you want an option that’s easier to remember, write a meaningful sentence and use the first character of each word. For instance, if you’re a huge “Star Wars” fan, you might write the sentence: Star Wars Episode 5 is the best movie ever! In this instance, your password would be: SWE5itbme! You don’t have to rely solely on your smartphone’s native apps to protect data. There are plenty of trustworthy security apps created by third-party companies that will add another layer of protection. These apps scan websites and software to detect signs of danger. If, for instance, a website tries to install malware on your phone, these apps will recognize it, prevent it, and alert you. 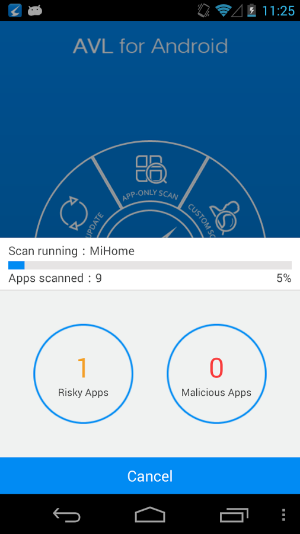 You can protect yourself by only getting apps from reliable stores. For instance, you can keep the personal information on your smartphone such as Galaxy Note 5, safe by only using apps that you find on the Google Play store. Although the Galaxy Note 5 comes with several security features, it is still safest to use only trustworthy software. The Google Play store does a good job of testing apps before letting users download them. If the company finds malicious code, it won’t release the apps. Malware steals information by taking advantage of weaknesses in your smartphone’s operating system and apps. This forces software developers to pay close attention to potential vulnerabilities. If a hacker finds a way to exploit a feature in the Marshmallow operating system, for instance, Google’s developers will quickly find a way to remove the vulnerability and issue an update. Your operating system can only protect your mobile device if you update to the latest version. If you keep using the old version, then hackers can continue stealing your information. Hackers and software developers are constantly fighting each other. No matter what a company like Google does, someone will find a way to exploit vulnerable features. That means you have to frequently check for and download updates to your system and apps to stay ahead of malware. If you use your phone like most people, you have information on it that you don’t want anyone else to access. Make sure you protect yourself by following these tips.